We are working for a new enlightenment and a new way to engage the world as faithful Muslims, insisting on Beauty and Reasonableness as the true measures that define our faith. NEW! JOIN US FOR WEEKLY VIRTUAL FRIDAY PRAYERS FOR A REGULAR INTELLECTUAL AND SPIRITUAL UPLIFT! the intellectual reawakening has begun. "...To win this very real war that has done inestimable damage to so many Muslims and to the truth of the Islamic faith, it is absolutely imperative that moderates declare a counter-jihad against the puritan heresy. This is not a call for the shedding of blood; it is a call for matching the zeal of puritans through unrelenting intellectual activism. This is a counter-jihad to reclaim the truth about the Islamic faith and win the hearts and minds of Muslims and non-Muslims all around the world..."
"As Donald Trump speaks about his plans to combat terrorism, we wanted to take a look at two words you'll probably hear: Sharia law. It's become so scary to many Americans that lawmakers in some states have tried to pass laws banning it." 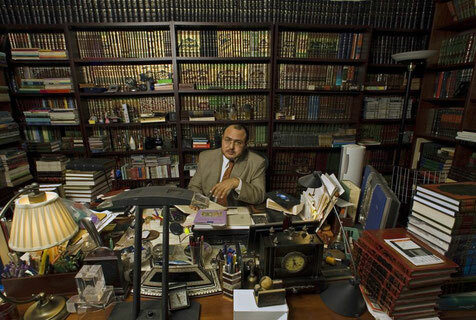 Here & Now's Jeremy Hobson gets a crash course in sharia law from Khaled Abou El Fadl, a law professor at UCLA. 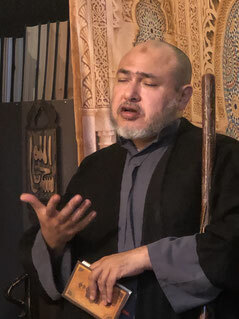 "SHARI'AH LAW - Reasoning with God and the Challenge of the Unreasonable"
Professor Khaled Abou El Fadl delivers a powerful keynote lecture on the notion of reasoning with God and the forgotten role and importance of reason in the Islamic tradition. He discusses his latest book, Reasoning with God: Reclaiming Shari'ah in the Modern Age, and how Muslims need to reclaim the beauty of their tradition in which reason and reasonableness are central to leading a life of Godliness as opposed to Godlessness. Enlightening, powerful and pertinent to the challenges facing Muslims in the modern world today. "A Theology of Moral Progress: A Review of Khaled Abou El Fadl's Reasoning with God"
"...Khaled Abou El Fadl is the Omar and Azmeralda Alfi Distinguished Professor in Islamic Law at the UCLA School of Law, where he teaches International Human Rights and other subjects. He has served on the Board of Directors of Human Rights Watch, the US Commission for International Freedom and has won numerous awards, including The University of Oslo’s Human Rights Award – Lisl and Leo Eitinger Prize. 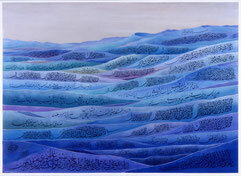 He is perhaps best known for The Search for Beauty in Islam: A Conference of the Books (2006), The Great Theft: Wrestling Islam from the Extremists (2005) and other books. Reasoning with God, which took ten years to write, is his eighth and most important book. "What gives Abou El Fadl such a powerful and persuasive pen is his intimate knowledge of and affection for two intellectual and civilisational traditions: the Western and the Islamic. 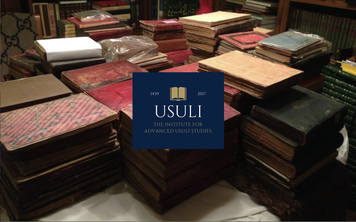 His Ivy League education and his formal training in Islamic jurisprudence in Egypt and Kuwait allows him to probe, critique and analyse both traditions at a profound level while making insightful cross-comparisons. He has thought long and hard about the challenges facing Muslim societies today, with a particular focus on how to reconcile tradition with modernity. 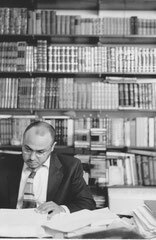 While he has been invariably described as a shaykh, a law professor, a human rights scholar and a public intellectual, the label that best fits him is that of a Muslim ethicist..."
Dr. Abou El Fadl returns to the heart and soul of the premises of Ramadan and how this annual window of opportunity to elevate the soul from the physical body allows Muslims to advance their progress towards the divine and remember the special place that we as humans occupy before God, separate and apart from more animal-like beings focused solely on consumption and the trappings of consumption.